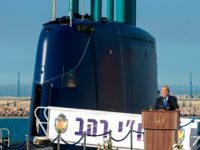 Prime Minister Benjamin Netanyahu on Tuesday called allegations of impropriety on his part in Israel’s submarine deals with Germany “contrived slander.” “I didn’t get a shekel from the submarine deal,” the premier told local authority leaders in the West Bank settlement of Shiloh. 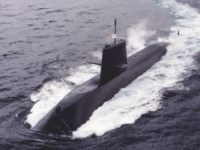 The Naval Research Laboratory wants to use common sea life as a biological tripwire to detect the movement of submarines. 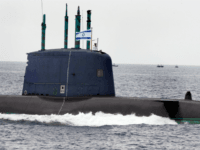 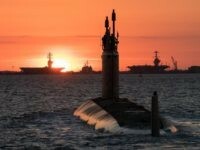 TEL AVIV – Blueprints for submarines that were being built in Germany for the IDF were hacked in a cyberattack with links to Iran, a former Knesset member claimed Wednesday. 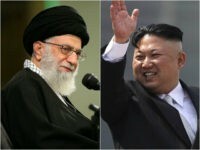 It has long been obvious that North Korea shares missile technology with Iran, but Fox News reports the Pentagon is investigating military ties between the two belligerent nations with increased vigor after Iran’s recent test launch of a submarine missile. 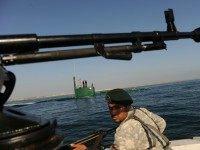 Iran is likely to capitalize on the expiration of an international arms embargo in 2020 to purchase new warships, submarines and cruise missiles, according to a new assessment by the US Office of Naval Intelligence. 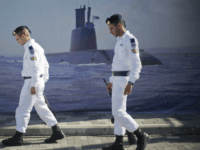 Israel is seeking to buy three more advanced submarines from Germany at a combined price of $1.3 billion, an Israeli newspaper reported Friday. 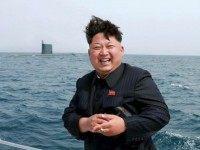 North Korean dictator Kim Jong-un always gets fidgety when some other global supervillain hogs the spotlight. 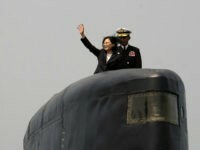 Having watched Iran mop the floor with President Barack Obama and ISIS turn cities into torture chambers for long enough, Kim decided to announce that his arsenal now includes submarine-launched nuclear ballistic missiles.